Over 40 percent of California is now drought-free, thanks to recent rain and snow across the state and especially in Northern California. According to the San Francisco Chronicle, the federal government’s U.S. Drought Monitor announced Thursday that 42 percent of California is no longer in drought. However, that does not mean Californians should be wasteful with nature’s precious commodity. While Northern California has made a near full recovery from its water woes, Southern California is still experiencing drought in some areas. According to the Los Angeles Times, Thursday’s assessment was less rosy for the southern part of the state as Los Angeles and Orange counties, along with much of Central California, were reportedly still locked in what officials classify as “extreme drought” — or worse. Unfortunately, over 100 million trees died during the drought. It is unclear whether the state has any plans to plant new trees in their place. Many homeowners replaced their front and backyards with fake grass, stones and succulent plants, requiring far less water. Some celebrities and members of society with larger homes were subjected to “drought shaming” in an effort to push them to conserve more water. The recent, steady rains brought the North Coast region “the wettest winter” in decades. 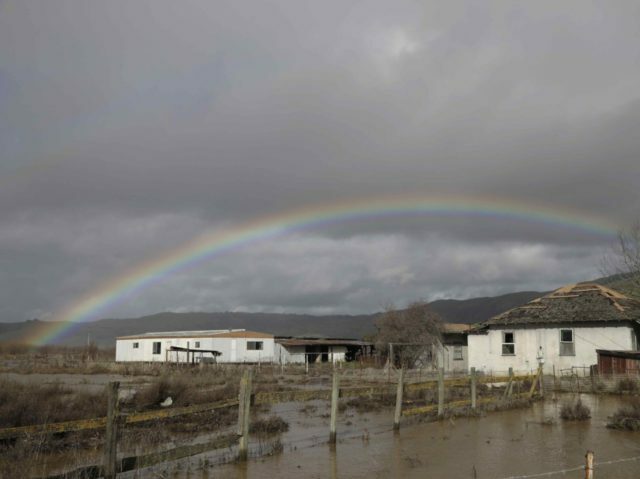 Over the weekend, the northern part of the state received over 350 billion gallons of water, leaving Northern California’s biggest reservoirs full to the brim and boosting storage to levels not seen in years. Some dams were so full that water had to be released back into the ocean. According to the Chronicle, the U.S. Drought Monitor,identified just 2 percent of California as remaining in the most severe category of “exceptional drought”; that figure is reportedly down from 43 percent one year ago. The state’s endangered Delta smelt will likely be fine, too.